Collie is a perfume by Bruno Acampora for women and men and was released in 2016. The scent is citrusy-green. The longevity is above-average. It is still in production. A Colognehasser would perhaps say: The good thing about a cologne is that it is gone so quickly. There the Colognehasser sees himself perhaps confirmed in Cologne, France or Sonstewo, in Naples with Acampora Profumi one shows him however the cold shoulder underlaid this with a despising "Ahhh! The typical attributes of a cologne, short shelf life plus a scentedtaura close to the body are taken to absurdity here. The Essenza Pura laughs from the perfume part (height: unexplained) to the face of the term Cologne and from the terminology of the "light scent", well, one could argue about that. Easy because it's a citrus scent: yes. Light from the fragrance concentration: no. Simple in fragrance, we have tons of bergamot and lemon that determine the fragrance every minute. Flowers and apparently felt grasses subordinate themselves to the citrus note of the Leithammel and at the end "Collie" contains a light spice under the lemon grove. It sits, fits, wobbles and has air, is a compact pack of fresh, natural fragrances and blows your brain free. Hercule Poirot would have liked the drive for the little grey cells. I find the composition to be timelessly classical. The citrus notes are simply delicious, the floral notes tricky packed and that the spice comes from the amber, one notices only at advanced hour. 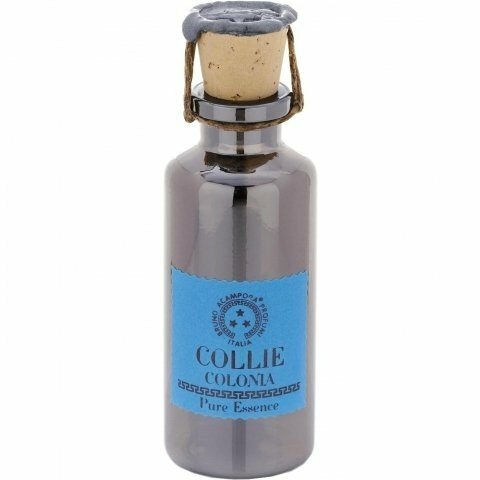 Write the first Review for Collie / Colonia (Perfume Oil)!